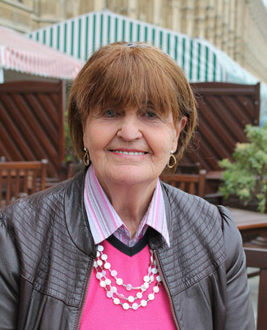 Baroness Cox brought to the forefront the plight of the Shan and Kachin people during a Parliamentary debate on ‘Recent developments in Myanmar’. In recent weeks, the fighting in Kachin State has intensified, displacing 6000 people, killing hundreds and trapping 3000 in conflict zones. As fighting also continues in Shan State, hundreds of civilians are being displaced on a weekly basis. This devastating situation is compounded by the lack of humanitarian access allowed in by the Burmese Government. The numbers of newly displaced by renewed fighting adds to the over 100,000 that are already displaced along the Thai-Burma border. My Lords, I too warmly thank the noble Baroness for promoting this important debate. I share the deep concerns over the suffering of the Rohingya people, but I shall focus on northern Shan and Kachin states as these have received less media coverage and desperately needed humanitarian aid. Renewed offensives by the Burmese military are causing mass displacement of civilians throughout north-east Burma. There has been sporadic fighting over several years, but recently this has intensified with daily attacks, displacing thousands and killing hundreds in the past few weeks. On 1 May, the UN expressed grave concerns over increased fighting in Kachin state. Many civilians are trapped in conflict zones, without access to humanitarian aid. UN Special Rapporteur Yanghee Lee has made repeated calls for the safety of civilians and provision of aid, but the Burmese Government have blocked access to all humanitarian aid international organisations and the UN in ways similar to their treatment of the Rohingya. The latest wave of displacement adds to the over 100,000 already displaced from Kachin and Shan states. Many remain trapped by the military in conflict areas, forced to seek shelter in nearby forests, without access to food, water or medical supplies. More than 3,000 are confined in dangerous conflict areas in Kachin state. The suffering inflicted by military offensives is exacerbated by frequent violations of human rights and crimes against humanity, with reports of extrajudicial killings, sexual violence and torture. Interviews with internally displaced peoples, or IDPs, in Shan camps tell of horrific stories of civilians beaten and used as forced labour by the military, farms taken from villagers and children recruited by the military. The Shan Human Rights Foundation reports arbitrary arrests and Amnesty International found treatment of ethnic minorities in Shan and Kachin states similar to that of the Rohingya. There are also reports of extortion, of villages being levelled to make space for hydro projects along the rivers, and land-grabbing for the expansion of mining and hydro projects. The numbers of IDPs has grown alarmingly. On 14 March, over 800 people were displaced in three towns in northern Shan state; on 17 March, 200 civilians were displaced from the Namtu township in Shan state; on 28 April, following a month of intensified military attacks, 4,000 more were displaced from Kachin state; on 6 May, another 500 civilians were displaced from Shan state, seeking refuge in monasteries and churches; on 8 May, the figure increased to over 6,000 civilians displaced from Kachin state and a further 600 were displaced from the Namtu township. Around 2,800 villagers in Kachin state are seeking refuge in churches in the capital or nearby villages. Displacement continues and the chance of return, as is recommended by current policy, is prevented by continuing offensives, destroyed homes and landmines restricting access to villages. There is also restriction of access for essential aid supplies and the blocking of escape routes for civilians by the destruction of bridges and road closures. The Rohingya crisis has shifted the provision of aid from the eastern border to Rakhine state, where it is much needed, but this has caused severe malnutrition for many living in camps on the eastern border. Humanitarian and local agencies have been refused access to townships in Kachin state. For example, on 23 April, a Red Cross food convoy was reportedly blocked from entering Man Wai village, where over 100 civilians are trapped. My small NGO, HART, with which I work and with which I have visited these people, works in partnership with the Shan Women’s Action Network, or SWAN, which provides healthcare and education in camps in Burma and for Shan civilians forced to live in Thailand. In 2017, it lost its DfID funding. Could the Minister tell me what the UK position was regarding the policy change which led to the cessation of funding for local aid organisations along the eastern border in favour of working with government-approved organisations? Will a reversal of that policy be considered to allow direct funding to NGOs such as SWAN, which carry out vital work for local people? Finally, what representations have the UK Government made to the Government of Burma to cease military offensives in Shan and Kachin states, to ensure the protection of civilians and to allow for urgent humanitarian assistance?